It was January of 2011 when we found ourselves among our squadron’s families, a somber group awaiting the evening’s deluge of information: the pre-deployment brief. My husband was embarking on his third deployment, but this was a first time experience for our daughters (ages 3 and 5). One of our goals was to find a way to support our daughters’ emotional needs through the lengthy separation. With no idea of what to expect or what sort of resources might be available, we diligently listened and took notes. We were unaware that on this night we would find a resource that would lead to a transformational journey of family bonding and compassion giving us the means to conquer some of life’s most challenging moments. And then came the introduction to FOCUS. FOCUS (Families OverComing Under Stress) is a program that taught us to develop ways of communicating our emotions, gave us tools to alleviate anxiety and stress, and connected us with other beneficial resources. Two tools that we found particularly helpful in giving our daughters the ability to identify their emotions were the program’s “Feelings Fox” and “Feeling Thermometer”. 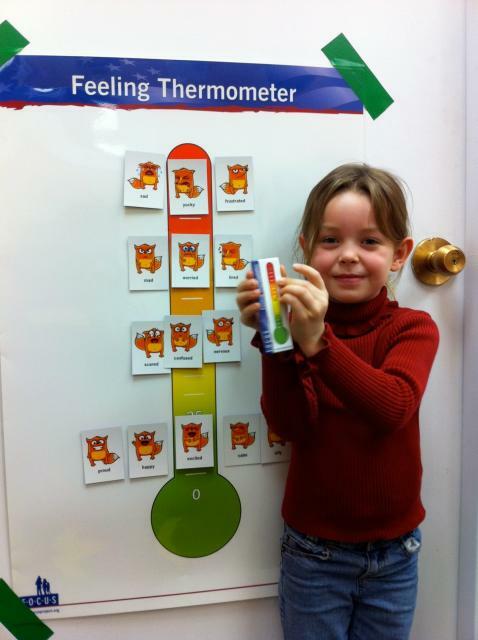 The “Feelings Fox” is a friendly cartoon character that depicts the many emotions a child can relate with, and the “Feeling Thermometer” accompanies the fox with it’s four color ratings of green, yellow, orange, and red (comfortable to uncomfortable). It is hard to believe these two simple tools can assist a five year old with communicating frustration and how it makes them feel, but it does! We took to pointing out our daily thermometer reading for each member of the family and talked about ways we could encourage one another to be “in the green”. Even Dad could interact through email when possible. We felt more connected and it allowed us to identify concerns early and intervene when the girls let their emotions get the best of them. Personally, as the parent on the homefront, the FOCUS team was a valuable sounding board for my stressors and apprehension. They helped me keep a calm perspective and brainstorm solutions to family problems that we would work through in the training sessions so that I could implement them at home successfully. I felt supported and had a genuine relationship where I could trust our family’s interests were being looked out for. Deployments and reintegration can be extremely difficult for service members and their families at home. The knowledge we gained at FOCUS helped our family through two consecutive deployments and we have even found some of the exercises tremendously useful during the transition of an overseas PCS move. 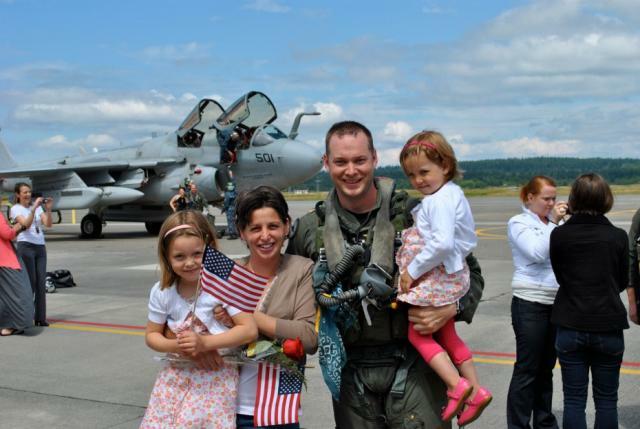 The FOCUS program is great because it can be tailored to meet the needs of individual families and we would rank it as one of the most important programs for military families.